GothenburgTours: my city is changing, rapidly. Come see! 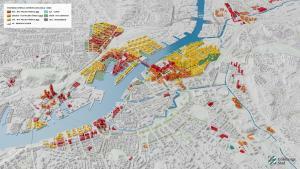 Gothenburg as a city is changing. Rapidly. And right now, the changes are happening faster than ever before, or so it seems. I’m not sure if this is true for other cities, as well, but my town seems to need a “reason” to change. In 1921, ahead of the previous big jubilee, it saw huge changes: an amusement park, several museums and stately buildings which still dominate the landscape, to this very day. Does it take a large event for major change to happen? After that, the city seemed to have slumped a bit and just evolved. When I moved here in 1992, Gothenburg seemed to be a tired, beaten city. Run-down buildings everywhere, fifty-eleven shades of gray, you name it. The demise of the three large shipyards in the harbor, the troubles Volvo was going through, it all affected the spirits of the city. But there was a sense of hope, nevertheless. 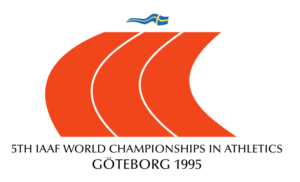 We had been awarded the 1995 IAAF Athletic World Championships, and we were going to clean up our city for that event. Boy, did we succeed! Since then, the city has grown, loads of new housing has replaced the empty spaces where keels were laid out and ships were built. 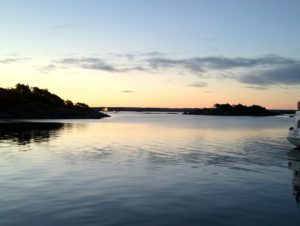 Particularly on the western banks of the river Göta. But more is yet to come, and with the immense growth of that side of the city, there is a need for better transportation infrastructure. and several other neighborhoods are in the process of being re-developed with tall buildings adding thousands of apartments for tens of thousands of new inhabitants. Traditionally, we have very few “tall” buildings in Gothenburg. Several devastating city fires put a damper on that. 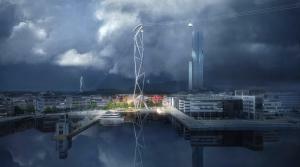 However, when the city fairgrounds built their third hotel tower a few years ago (which includes Sweden’s very best hotel), that tower breached 100 m, thus officially (ridiculous compared to other cities, I know, but this is Sweden) making it a skyscraper. When builder Ola Serneke announced the project, people went nuts. The idea was so crazy, so outlandish that nobody believed it. And against all odds, it is actually being built. All the permits are in place and many of the apartments are already sold. 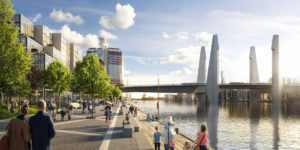 It’s going to be a landmark for sure, replacing Turning Torso in Malmö as Scandinavia’s tallest building with its whopping 245 meters. But there is more. About a decade ago, we tunneled the main traffic artery through the middle of the city, and that entire space is now ready for development. Sadly, in our town (I’d be happy to tell you on a tour) some of these things seem to take forever, but you can already see the changes in a few places, and with the coming train/subway tunnel, it sank some of the plans even further. Gothenburg is built on clay and every building needs to be firmly “poled” into solid ground, sometimes dozens of meters into the ground. Not easy when you’re also building a tunnel through all of that. Right now, a further stretch of the city freeway along the central station is decked over and an entirely new neighborhood is being developed. The sketches from the city almost appear like science-fiction. Whether you like to see the old or watch the new city grow, or if you’re interested in how we tackle the future, which includes getting ready for the ever-increasing sea-levels, then you should visit Gothenburg now. All the rest, food, great lodging, art, fun, entertainment is in place as always, but a city in a revolutionary transformation from “industrial” to “futuristic” isn’t something you get to witness every day. Good question: what if you don’t know what to expect, what to see? There are things to see for anyone and you can get really “nerdy”, e.g. 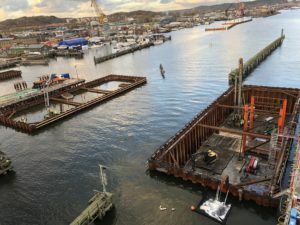 the construction of a new bridge across Sweden’s biggest river. First a big thank you to Paul for his e-mail. I do understand your point, and tour companies selling standard tours make it very well, in destinations all over the world. I’d not want to see my post or this company as a competitor to those offerings. We’re a complement, for the most part. If you spend a week or more at a destination, if you have plenty of time, I think those off-the-rack tours can be very valuable. We recently spent two weeks on Madeira and spent one day on one of those hop-on-hop-off buses as a means to get an overview of Funchal. So what if you don’t know what to do, what to expect. Trust your guide. We’ve lived in our cities for a long time, we know what people tend to like. I’ve guided visitors through Gothenburg since 1992, and I know what people like to see, and what they will wrinkle their noses at. The whole point of customizing is to provide that little extra. Allow me to exemplify: say you love architecture, building techniques. I could spend days just showing you different buildings here, I could show you differences in Sweden’s building standards, fire safety and even take you to homes to see how we actually live. One tiny topic, we could ‘nerd’ for days! Make sense? Welcome to Gothenburg. Contact us here. 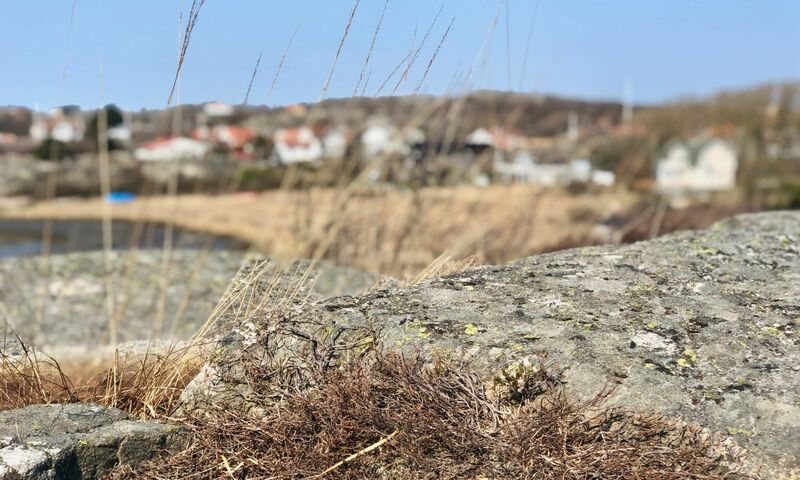 Smultron is the Swedish word for wild strawberries, this super yummy, flavorful tiny berry that kids in Sweden love to thread on a dry grass straw to enjoy in peace and quiet. 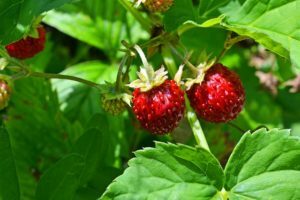 It’s a berry that grows all over Europe and elsewhere, but in Swedish folklore, it has almost magical properties. Smultronställe could be related to either a place where you can find them (that you wish to keep to yourself, just like your favorite mushroom places) or a place where you can sit in the sun and enjoy them. Over time, the term has been expanded to be used for other purposes, meaning. Today, it simply stands for a secret spot, a place you cherish but do not necessarily want to share with anyone. It could be your backyard, a particular beach etc. And it doesn’t have to be “secret” or “hidden” either. But because no one else knows about it, it becomes that, even though it may be a very popular place. “It’s in the eyes of the spectator”, as the saying goes in Swedish. This is one man’s smultronställe, by the banks of the river Han in Seoul. To understand a smultronställe means seeing that place through that person’s eyes, or at least from their point of view. I understood Yaek-Wang’s reasoning. It is a serene place, and I think the panorama reflects some of that. 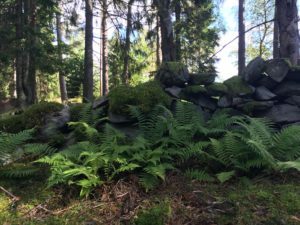 I have many smultronställen to show you here in Gothenburg and the surrounding towns. These are places that speak to me, not necessarily from a historical point of view, but because of their beauty, their serenity etc. They have a purely emotional appeal. I look forward to showing them to you. Feel free to contact me to learn more. “It’s raining men, hallelujah!” – If only, right? You can expect rain, more or less, every other day. That doesn’t mean it will be pouring constantly! We don’t normally get tropical downpours here, but it’s more what we in German would call “Landregen”(steady rain) and a drizzle, annoying but you hardly even need an umbrella. Rain also feels different in summer and winter. Summer rains are calmer, it’s not usually windy so it’s just raining. In the winter, when it’s also blowing with gale force winds, our rains are like something taken from a Hollywood movie, horizontal and coming right at you. Still, not bucket loads, but don’t bring an umbrella. It.Just.Does.Not.Work! 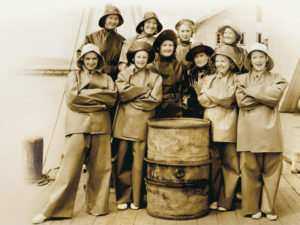 Instead, people here wear “oil garments”, at least on the islands. They’re not quite as practical in the city, but a waterproof coat with a hoodie, and you’re good to go. Loads! We have so many amazing museums, from our city museum where they often tackle historically sensitive topics, to our famous art museum with exhibits that focus on the “Nordic Light” (more later) to our Design museum, the Universeum with its amazing aquarium, or why not the Volvo museum? Let’s not despair. It’s not ideal. I agree. When I studied Nordic culture at the University of Zurich, one of our professors told us that research in the Nordics showed that visitors who enjoyed good weather on their first visit, would always return, addicted by the Nordic light, which is quite unique and which as inspired artists for centuries. On the flip side, those who had bad weather would never return. So yeah, bad weather up here means darker days, the walls of buildings are wet and dark, and it’s easy to get the impression that this is a depressing place. We share that across all the Nordic destinations. It’s part of our DNA. However, that doesn’t mean there aren’t things to do. Dress properly and I promise you that a visit to a forest for a walk (less rain under its canopy). I promise you, the smells will make you feel quite relaxed and, depending on the month, we might even find mushrooms. Or, you take that raincoat of yours for a walk to the coast. The worse the weather, the more impressive it can be. A storm around here is rarely dangerous (unless you’re acting recklessly), but visually impressive. 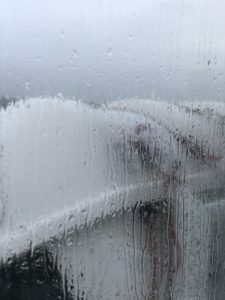 Sitting on a public transport ferry that’s rocking in the waves, drinking coffee, or walking along almost overflowing jetties and beaches, watching waves crash against the boulders out west. Trust me, it’s an unforgettable experience, and you’ll completely forget that it’s raining around you. Sure, we all wish that our destinations were always sunny. It’s why so many of us travel to the Mediterranean in the summer. I get that. But that’s just not what we have up here. Instead, we offer lush greenery you don’t find in many other places. You can’t live here without embracing the rain. 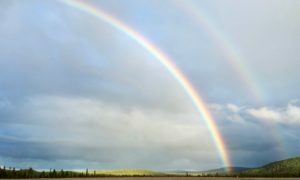 And we know that after each downpour or drizzle, there’s a chance to see a rainbow, and that’s always something to look forward to! Coming to Gothenburg means expecting rain. But I promise you, I’ll make sure you’ll want to come back again, despite what research says! Feel free to contact me to learn more. 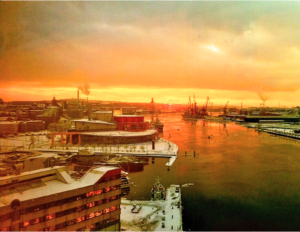 Gothenburg, an open, welcoming, a friendly city, her eyes focused on the west, the open sea. I moved to Gothenburg in 1992 to study at the university here, one of the largest ones in Sweden with almost 50,000 students. It’s also home to some really large multinational companies. I had little knowledge about the city I’d chosen to move to. I should’ve known there was something special about this place. It’s a uniquely friendly city. Allow me to explain why. I hope to be able to welcome you in person soon, to show you just how deserved this honorary title is. Back then, the Swedish tourist office conducted annual surveys of cities in this country and year after year, Gothenburg was considered the most friendly one. Why? With regards to other Swedes, I believe it has to do with our language (or dialect if you prefer). The local accent is considered “friendly” and “welcoming”, funny even. To make a finer point, when Disney and other filmmakers dub their movies into Swedish, the comic relief characters always speak our dialect, while the villains are from the north or south and the heroes from the capital region. This is annoying and extremely stereotyping, but that’s how we are perceived: funny and well, funny is friendly, right? Gothenburg humor is also a bit of a national treasure. We have this weird tradition to name our buildings with double-entendre names, often including a pun. E.g. we call the HQ of our local electricity company “Elysée palace”, a pun for how expensive it was to build, comparing it to the French presidential residence. However, “el-lyse” is also Swedish for electric light. A classic Gothenburg pun. Gothenburg’s trams or streetcars are a feature of our city life. And many a friendship has begun waiting for the next tram. We have always been a city built by immigrants, from the very beginning, when German, Scottish, and Dutch engineers dug the trenches into the moor that was on site where the city stands, they poled the entire old city to make sure the houses don’t sink into the clay underneath. This wasn’t the ideal place to build a city, and we still pay a high price for everything that needs digging, because of the clay. 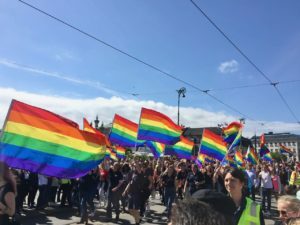 These days, Gothenburg is also a welcoming place for the LGBT community, one of two locations for this year’s EuroPride. Love is love, right? This week, I read another article, this time in the UK’s Independent about Gothenburg topping a list of thirty-nine cities around the world, beating such iconic cities as New York, Chicago, Berlin, Vancouver, Sydney, and Rome. How is it possible that a city of roughly 550,000 inhabitants can beat such great cities? I think our size is part of it. We still see tourists, visitors, and while we wait for a tram or a ferry, we strike up a conversation. We still care, and we’re curious. Not to mention that we are proud of our city, and wish to share it with the world. Unlike many large metropolitan areas where tourists are seen as a nuisance, clogging metros and buses etc. A friendly city is also one where the pulse isn’t beating too quickly, where the pace of the city isn’t stressing visitors who’re simply taking a stroll. We have tons of cafés and great restaurants where you can enjoy great coffee, cakes, or enjoy the freshest seafood available. When I moved to Gothenburg in 1992, it was to study. It was a different city then it is now. The wounds (scars?) after the disappeared shipyards were still gaping on the north shore of Göta River, yet there was an optimism in town, something that really appealed to me. Yeah, yeah, I know, corny. BUT, us Gothenburgers really do love our city, and we hurt when things don’t go well, and we love to show her to our visitors. 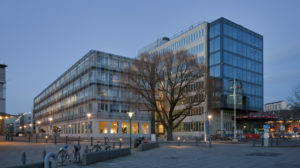 As a Gothenburger, I am proud of the city I live in, the progress we make, the way the skyline is changing, new business sprouting, in life-science, computer science, new buildings, including landmark Karlavagnen. 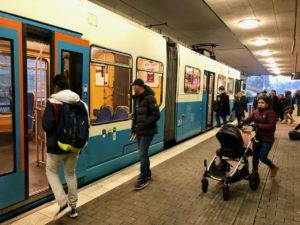 I’ve lived here, in the archipelago, for over twenty-five years, and with all the cultural happenings, the infrastructure investments (roads, railway, tunnels), and all the new food places and cafés, this is an exciting time to visit Gothenburg. On this blog, I’ll share (weekly, that’s the plan) some of my favorite places. 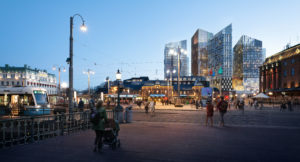 Keep in mind, there are loads of them, there’s so much to do, which is why Condé Nast, the Guardian, the Independent and many U.S. papers keep referring to Gothenburg as a top tourist destination. Did I mention that we are really friendly here? I’ll grant you this though, the aforementioned film uses the Swedish name. For a while, we had a mayor who insisted that we use the Swedish name, even in international marketing. The year after he retired, things slowly went back to normal and we now use Gothenburg again, mostly, but the city’s official marketing logo is still a reminder of that ‘era’, although I like their twist on it, using the internationally mostly inexistent “ö” and turn it into a call to action: GO to Gothenburg! 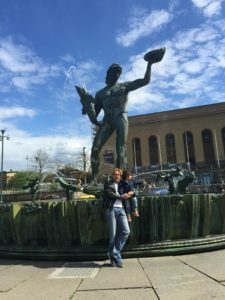 I moved to Gothenburg twenty-six years ago to study. I’m still here, and I love my hometown. I’ve learned a lot about our history, culture, and I know a great many places to visit. I’ve been showing people around here for as long as I’ve lived here. I’d love to show you around, too, virtually, here on this blog, and personally, during a visit. Meanwhile, if you have questions, feel free to reach out to us. Any tips on what to write about? Suggestions are welcome.